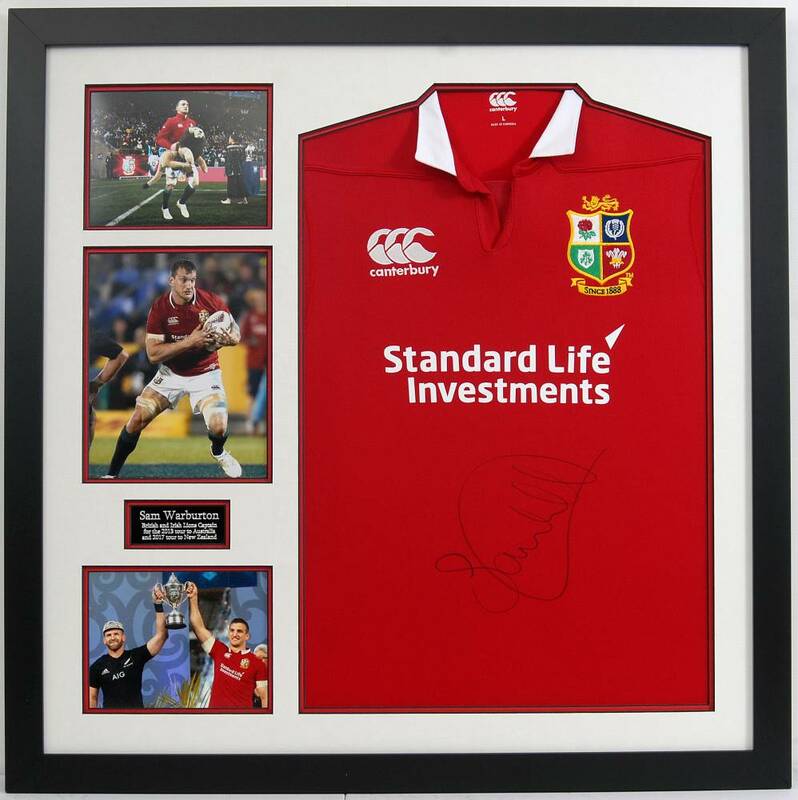 A large framed display of former Welsh international rugby union player, Sam Warburton. The 29 year-old flanker captained both Wales and the British Irish Lions gaining almost eighty senior caps over the course of his career. He was awarded an OBE in the 2018 New Year Honours List following his contribution to Rugby Union. He is only the 2nd man to Captain the Lions on two tours and remains unbeaten with a serious victory in Australia in 2013 and a tie against the formidable All Blacks in 2017. This item is framed and glazed, and is included within all lots on display.